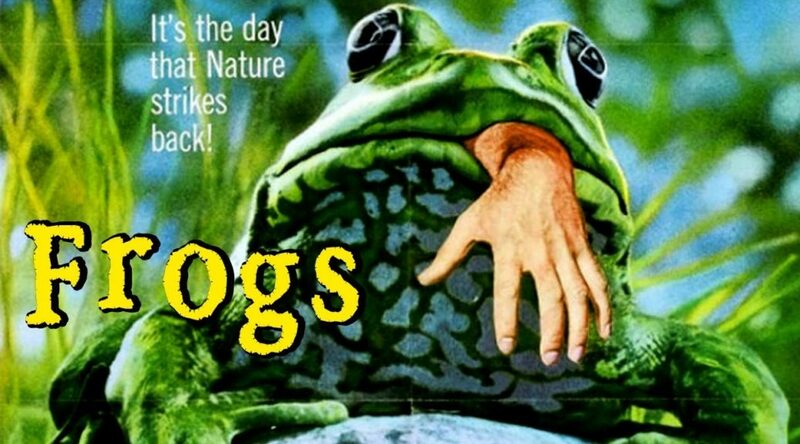 Frogs(1972) stars the old rugged voice of beef and horse flops himself. He plays a photographer for an ecology magazine. This involves taking pictures of garbage tossed into the creek so recently that it’s still not even completely soaked. He meets a family who bizarrely takes him g in while people in the family start getting killed by animals. Not once does a frog even inadvertently lead to anyone’s death though. Weltall then talks about the film that everyone and their mother has already made six response videos about. It’s Bird Box, everyone’s parents first exposure to psychological horror films that was only watched because there’s piss all to do around the holidays except binge Netflix and hate your children. Speaking of loathable children this movie has two of them but, spoiler alert, they aren’t forced to gaze into the abyss and pull their eyes out. Tim goes back to the seventies because he’s almost eaten his way through the garbage dump of the eighties and they’re right next to each other. Sssssss(1973) is about a “scientist” who can talk to snakes, or maybe just one snake, that wants to turn people into snakes. He drinks a lot as does his pet snake which might explain his motives. Why does this say manga pulse?